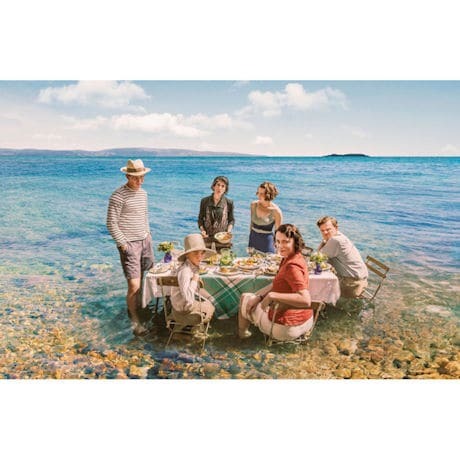 When a quirky English family moves to a Greek island in the 1930s in search of a better life, they find a dilapidated house, new friends, rivals, lovers - and animals. 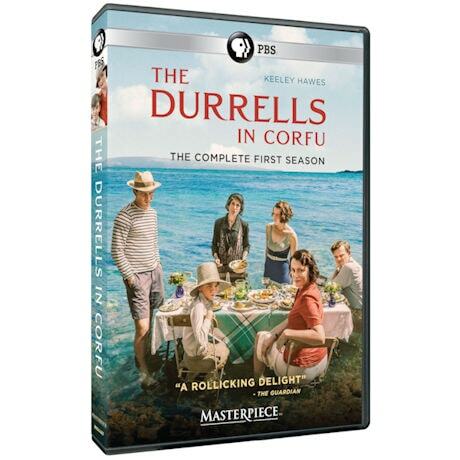 Based on author and naturalist Gerald Durrell's Corfu trilogy of novels, this top-rated, feel-good British ITV series stars Keeley Hawes (MI-5) as Louisa Durrell, Josh O'Connor (Peaky Blinders) as Lawrence Durrell, and Leslie Caron as the Countess. 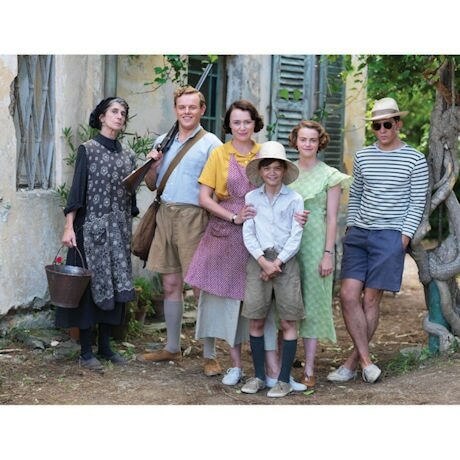 Filmed on Corfu, seen on Masterpiece. 6 episodes, 5 hrs, 2 DVDs or Blu-ray discs. SDH. The island of Corfu's distinct contrast with England is what enthrals Bournemouth mother Louisa Durrell to uproot her disenchanted family from a life of no prospects and venture into one with a lessened need for conformity, however, the appeal becomes ever distant to see upon their arrival. An austere life involves her attempting to withstand her three sons' and daughter's lack of regard for anything other than their own interests, with Gerry befriending an animal lover and forming an exponentially growing menagerie, Leslie's penchant for using firearms, until an incident compels him to give it up and search for love, Margo discovering the less than favorable attitudes to women and Larry's attempts to quell his mother proving this beyond a doubt, all begins with the welcoming from a local man, Spiros, whose unintentional gift of a housemaid is somewhat fleetingly relieving for Louisa, until her children inevitably get in the way. 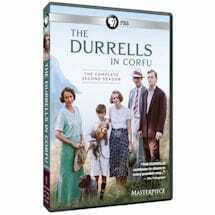 As Louisa deals with a despondent Margo, Gerry's continuing disregard for education and his animal collection gaining more than first hoped and Spiros' attempts to take her mind off her money troubles and disintegrating house, Larry ends up requiring some rudimentary medical care from an unexpected source. Louisa begins to worry over Gerry's burgeoning relationship with a convict and attempting to investigate the cause of his imprisonment finds the two stealing from the Countess' goldfish pond. Leslie laments over finding his girlfriend with her ex-boyfriend and later rues his actions after spotting the two on an alcohol-fueled night out with Larry. Louisa finds herself torn between two men when throwing Leslie out leads him into a life of crime after being taken in by two local thugs. Leslie soon ends up in court following a string of accusations from a local turkey farmer. 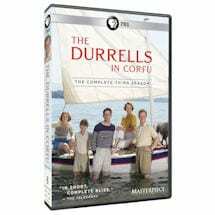 Margo worries for her job until the Countess surprises her by gifting both her and Louisa two of her unused frocks. Gerry mourns the death of one of his bats and is encouraged to set up a Centre for Scientific Learning with the rest of his animals. 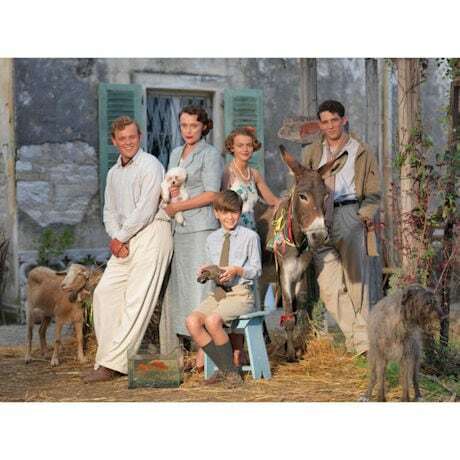 A visit from some priggish relatives seems to deem the family's immigration to Corfu more temporary than first thought, and Louisa's aunt's insistence that they must return to England is made even more demanding by the revelation of her relationship with Sven. Larry, despondent at the rejection of his novel by publishers, subdues himself into a life of labor. Margo tries to balance her devotion to the Countess and her growing adoration for her gardener, and Gerry's plans to embark into the world of conservation are thrown into disarray by his attempts to feed his adopted baby owls. The family's concerns over Sven's true intentions are brought to light when Louisa realizes Sven's feelings for her are being used to hide his homosexuality. Larry finds himself stuck when Nancy insists they must move to England together, while he is hesitant to leave his family behind. Leslie suffers an injury perusing Gerry's makeshift zoo, leading Gerry to question his future caging animals. Margo attempts to relieve the Countess of her agoraphobia by inviting her to the wedding party.